The debate as to when individuals should end their driving careers was highlighted again following the road traffic crash that involved Prince Philip, on 17th January near to the Sandringham Estate in Norfolk. 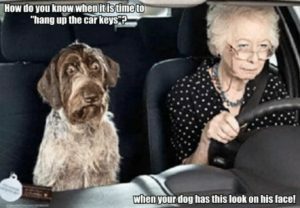 There is no upper age limit for drivers and as long as medical conditions or poor eye sight do prevent it, people can continue to drive to a ‘ripe old age’. West Sussex Mediation Service, has been helping families deal with this dilemma, and many other tricky subjects that result from our ageing population. We launched our Elder Mediation service in 2016 having recognised that we have an ageing population in the UK and families with older relatives are facing various difficult issues to resolve. This extends beyond driving careers to caring duties, living arrangements, dealing with change, wills/inheritances and powers of attorney. Mediation helps everyone involved to hear and understand one another and to work together, with the aim of finding the best solutions that suit all those involved. West Sussex Mediation Service offers this service free, with an invitation to make a donation to help sustain the charity. We know that this can be an emotive subject, as the ability to drive provides great independence. However, there can be positives out of hanging up your car keys. With free travel on buses and subsidies on trains, there could be a financial saving. Accepting lifts from friends/family can sociable events and most of us would agree that driving is very stressful anyway and not great for your blood pressure. By 2020 the number of people aged over 80 will have doubled. In 2016 18% of the population were aged 65 and over and 2.4% were 85 years or older. The over 65’s will account for roughly a quarter of the population by 2046. Below is a funny picture, but we know it is a serious issue, both in terms of road safety but also in relation to the rights of individuals and their independence. If you feel we can be of help in similar circumstances, just give us a call.